The odds are growing that the next American war will be against Iran. The odds are growing that the next American war will be against Iran. Of the three countries designated by the US as the “axis of evil”, Iraq was invaded; North Korea has agreed to an uncertain process for “denuclearisation”; Iran remains regionally powerful and defiant. Former US President Barack Obama’s strategy was to first neutralise the principal threat from Iran and thence co-opt it to stabilise an increasingly turbulent Middle East. The incumbent US President Donald Trump has reversed this policy, withdrawn from the UN security council, endorsed nuclear agreement and reimposed harsh US sanctions against Iran. In a speech on May 21 at the Heritage Foundation, a conservative US think tank, secretary of state Mike Pompeo listed 12 “basic requirements” which the US wants Iran to meet. These are: continue to observe the JCPoA restraints on its nuclear programme; end support to Hezbollah, Hamas and Islamic Jihad; respect Iraq’s “sovereignty”; end support to the Houthis in Yemen; withdraw all forces under Iranian command from Syria; end support for the Afghan Taliban and other terrorists in Afghanistan and stop harbouring Al Qaeda; end the Islamic Revolutionary Guards’ support for terrorist and militant partners; and cease threatening behaviour against neighbours and to international shipping and destructive cyber attacks. The US has declared it will impose so-called secondary sanctions, without exception, against entities and countries importing Iranian oil after November 4 this year. Banks and financial institutions dealing with Iran will be excluded from dollar transactions and the SWIFT system. Despite bold European statements, several major European corporations and companies have resiled from commitments to invest in and trade with Iran. India is likely to end oil imports from Iran by the due date. India’s much-touted construction and operation of Chabahar port is also likely to be consigned to limbo. China, Russia, Turkey and a few others with limited exposure to US pressure, may find ways to preserve their oil, trade and investment relations with Iran. The US has correctly assessed that Iran’s greatest vulnerability is the economy. As Pompeo said: “Iran must choose between keeping its economy alive or squandering precious wealth on fights abroad.” The psychological impact of US withdrawal from the JCPoA and impending sanctions has already slowed Iran’s growth, devalued the Iranian rial and raised prices. The US and its allies will seek to exploit Iran’s economic vulnerabilities as well as ethnic and religious fissures. Iran would be within its rights to renounce the JCPoA and resume enrichment in view of the US withdrawal from the agreement. But it is unlikely to do so, at least, for the present. 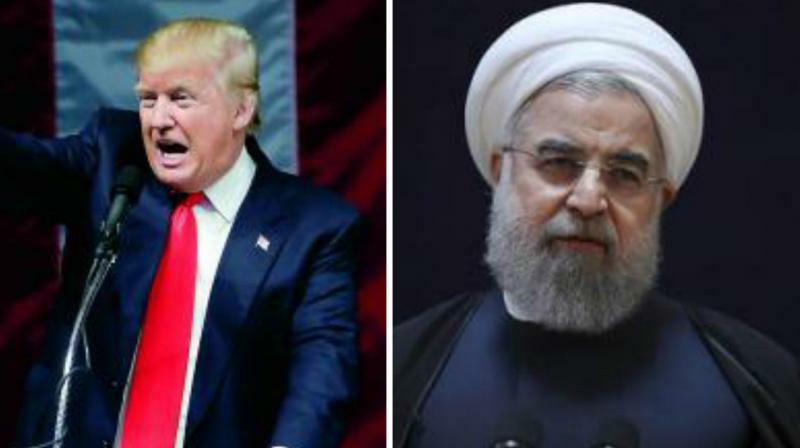 The US and its allies have already taken steps to blunt Iranian retaliation. Israel, working with Russia, has extracted a commitment from Syria’s President Bashar al-Assad not to allow Iranian forces or militias close to the ceasefire line with Israel. The US and Saudi Arabia are working hard to co-opt some Iraqi Shia leaders, such as Muqtada Al Sadr. The US has now openly joined the Saudis and Emiratis to mount offensive operations against the Houthis in Yemen to recapture Al Hodeidah port. The US is also seeking a political settlement with the Afghan Taliban. If Iran is cornered, its policies could become more desperate and aggressive in the ongoing conflicts and power struggles in Syria, Lebanon, Iraq, Yemen and Afghanistan. It may also decide to renounce the JCPoA and may withdraw from the Nuclear Non-Proliferation Treaty. Such an escalation would, in turn, create the casus belli that the US and Israel may be looking for to launch military action against Iran’s nuclear and strategic facilities. Trump and Israeli Prime Minister Benjamin Netanyahu, seem prepared, to resort to such military strikes. To avoid this grim scenario, Iran will need to resort to deft diplomacy and in particular to secure unequivocal support from China and Russia against any use or threat of force against it. and it may have to accept some US demands. Pakistan can suffer serious collateral damage from the mounting US-Iran confrontation and would do well to remain aloof from any involvement. If Pakistan’s territory is used by Sunni groups for attacks in Sistan-Baluchistan, Iran could retaliate by fomenting Shia-Sunni violence in Pakistan. Another hostile neighbour is the last thing Pakistan needs at this moment.